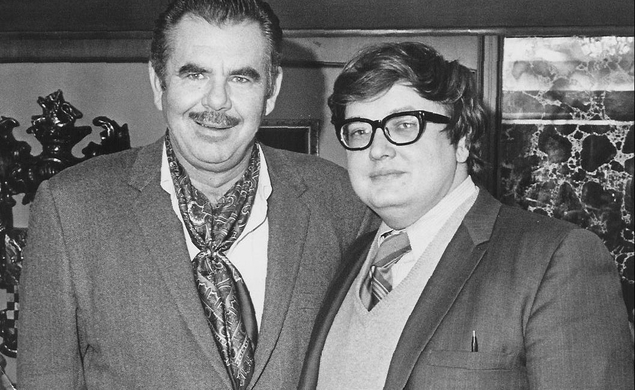 There’s already one major film about the life of film critic Roger Ebert in the works, Steve James’ documentary Life Itself, and now, per a press release reprinted at /Film, there’s another: Russ & Roger Go Beyond, a fictional film about Ebert’s collaboration and friendship with director Russ Meyer during the making of their 1970 movie Beyond The Valley Of The Dolls. I’m not sure how much drama there really is in the making of Beyond The Valley Of The Dolls, but it’s certainly an interesting era in Hollywood, and an opportunity to see that era through the eyes of a pair of interesting subjects. There’s probably room for some big laughs and big, uh, other things, too. Now, though, there’s a big question to ask: who the hell could play young Roger Ebert? Off the top of my head, I have absolutely no idea.